One of the last Ministerial actions taken by Lord Faulks, before he decided to leave the Government, was to publish a very important consultation on how Alternative Business Structures (ABS) should be regulated. On 30 November 2015, the Government published, ‘A Better Deal: boosting competition to bring down bills for families and firms’ which set out the Government’s approach to encouraging open and competitive markets, for the benefit of the UK economy and UK consumers. A key part of the Government’s approach is to ensure that the statutory frameworks underpinning regulatory regimes allow regulators to regulate in a way that is proportionate and promotes competition and innovation. 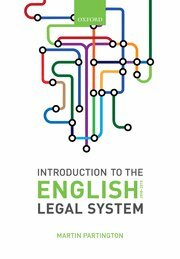 As the legal services market is not only an important contributor to the UK economy, but also to ensuring individuals’ and companies’ access to justice, the Government seeks to develop a strong, independent and competitive legal services market, which will promote consumer choice and quality services at lower prices, ensuring greater access to justice for all. making legal services regulators independent from professional representative bodies. The second of these is delayed, pending the final report from the Competition and Markets Authority – about which I have written separately. However on 7 July 2016, the Government published a Consultation Paper on what changes might be needed to the regulation of ABSs. The introduction of ABS businesses, particularly those that have access to external investment and business and commercial expertise, has benefited the market more widely. Recent research has indicated that ABS firms are more likely to be innovative than other regulated legal services firms. These new, innovative providers have increased competition in the market, which [the Government believes] encourages a wider variety of legal services in the market that are more accessible and affordable to consumers. As a result of concerns raised at the time about the potential risks of new and unknown business models, the legislative framework for the regulation of ABS businesses, set out in the Legal Services Act 2007, is more onerous and prescriptive than that for traditional law firms. Six years on, experience suggests that ABS businesses have not been shown to attract any greater regulatory risk than traditional law firms. In consequence, the Legal Services Board and front-line regulators suggest that the current statutory requirements act as a deterrent and an unnecessary barrier to firms wanting to change their current business model to a more innovative one, as well as to new businesses considering entering the market. The proposals set out in the consultation aim to enable legal services regulators to reduce regulatory burdens on ABS, while taking a more effective risk-based approach to regulation. The proposals are very technical in nature. The following summary is set out in Legal Futures. The Consultation runs until 3 August 2016. For Lord Faulks Ministerial statement, see https://www.gov.uk/government/speeches/legal-services-regulation.